The great thing about salads is the wide variety of healthy ingredients you can use to make them. The most basic elements of any good salad are the greens you start with. This may seem simple, but not all salads are created equal. Which greens pack the biggest nutritional value? New research suggests that Medicaid recipients are more likely to receive cancer screening tests when their doctors receive higher reimbursements for routine office visits. Cancer presents a major challenge to countries all around the world. It's an indiscriminate force that impacts people across borders, cultures, and a wide variety of population demographics. Although colon cancer incidence rates are decreasing in the above-50 age group due to screening and early detection, a new study shows that the number of cases in patients under 50 are on the rise, and will continue to increase. The study, published in JAMA Surgery last week, centers on a comprehensive analysis of U.S. National Cancer Institute data from 1975 through 2010. Researchers found that the overall colon cancer rate for Americans fell by about 1 percent each year during that time. According to the Journal of the National Cancer Institute, colon cancer is the most preventable, but least prevented cancer. 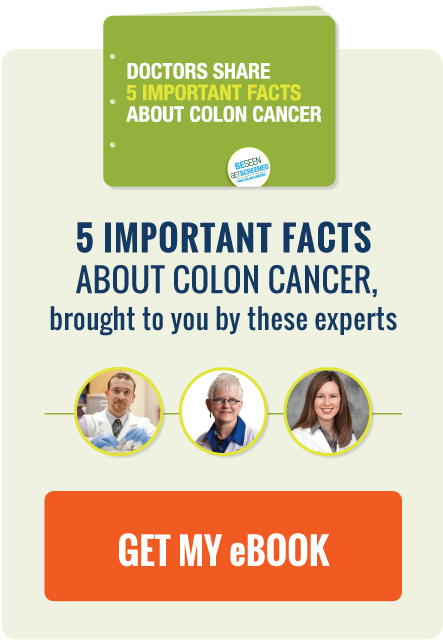 This is because colon cancer is entirely preventable with screening and early detection - doctors can catch and remove abnormal growths, or polyps, on the colon before they become cancerous. Can Barbers and Stylists Educate the Public About Colon Cancer Screening? According to a recent announcement by The Cigna Foundation, the organization will partner with The Maryland Center for Health Equity in the University of Maryland School of Public Health to launch a major health promotion initiative in barber shops and beauty salons in Prince George's County, Maryland, called the Health Advocates In-Reach and Research Campaign, or HAIR. The program, made possible by a $200,000 World of Difference grant from the Cigna Foundation, intends to encourage colorectal cancer screening among African-Americans in Prince George's County by enlisting local barbers and beauticians who interact with community members on a daily basis. If you're nearing the age of 50 -- the age at which the American Cancer Society recommends regular colon cancer screening should begin -- you may be wondering: what is a colonoscopy?. Whether it comes from your doctor's recommendations or through word-of-mouth from family and friends, information about colonoscopy can be confusing and perhaps a little intimidating. According to the Centers for Disease Control and Prevention, cigarette smoking kills more than 480,000 Americans each year. This makes tobacco use the single most preventable cause of death and disease in the U.S. According to new research, nearly two-thirds of patients treated for colon cancer reported that their treatment caused some degree of financial burden. The study, conducted at the University of Michigan Comprehensive Cancer Center, revealed that the reported colon cancer financial burden was greatest among patients who underwent chemotherapy and younger patients with low-paying lobs.